If you are a heavy user of MS Excel, and use pivot tables on a regular basis, you know that utilizing such features can take a long time. By my calculation, it takes about 13 seconds to set up a pivot table containing all necessary data. In this day and age of maximizing productivity and streamlining workflow, that may as well be an eternity. To speed things up, I suggest using the following two keyboard shortcuts that will cut down this pivot table task by 76.9 percent (to just 3 seconds). The best part? Using these shortcuts doesn’t even require a mouse. So set your timer and let’s give it a try. 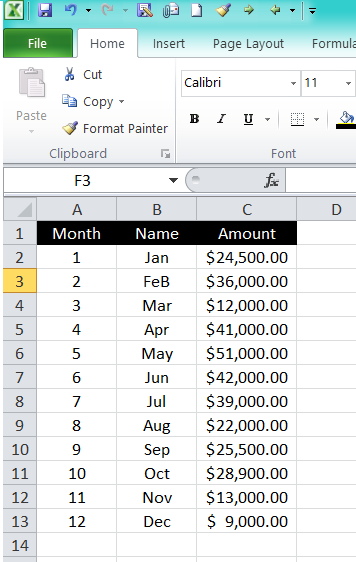 Step 2: Use the shortcut CTRL+A to select all data on the tab for use in your pivot table. Time required = 1 second. Step 3: Now that we have the data selected, use the shortcut ALT+N+V+T and press ENTER. Time required = 2 seconds. Now that you just added 10 seconds back into your day, all you have to do next is decide what you will do with your extra time. Perhaps make three more pivot tables? 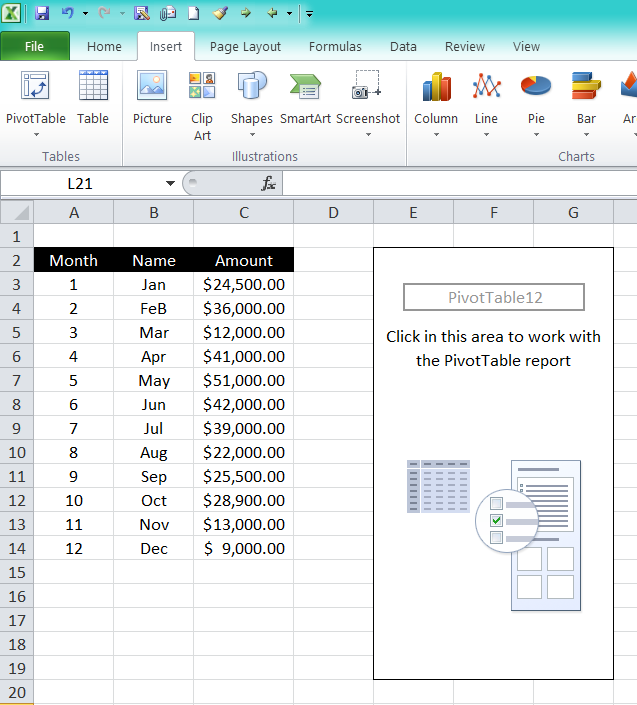 Would you like to leverage more advanced capabilities in Excel that can make an immediate impact on your organization? Keep in mind that 8020 Consulting is here to help. Just click below to ask us a question or learn more.